Media centers are veritable treasure troves for TV junkies. Many stations are bidding reports, documentaries, series, shows and even entire movies. With a few tweaks invites you download the videos. We show how to do it. Download StreamTransport Install and launch it. Type in the address bar "ard.de" and click begin. Use the navigation line of ard.de call the ARD library on (top right). Pick the desired program out and start the stream. In the bottom of the program window video download appears (: // Link starts with rtmp). Select it, the check mark activated before Change Folder and click on download. Under "Folder" the desired download directory and then start the download by clicking on OK. The video is then ready in FLV format and can be played, for example, with the VLC Media Player. In the media libraries of the other stations, it works similarly: call the transmitter site in StreamTransport, click through to the library and start the stream. Download then the RTMP Stream - Ready! Danger: Some stations may appear a white window when calling the page, then click just once on the Back button in leaves Stream Transport. If you accidentally downloaded an upstream commercial break, simply repeat the procedure, but download an alternate video link, discovered the Stream Transport. Whether it is advertising, often reveals the playing time. 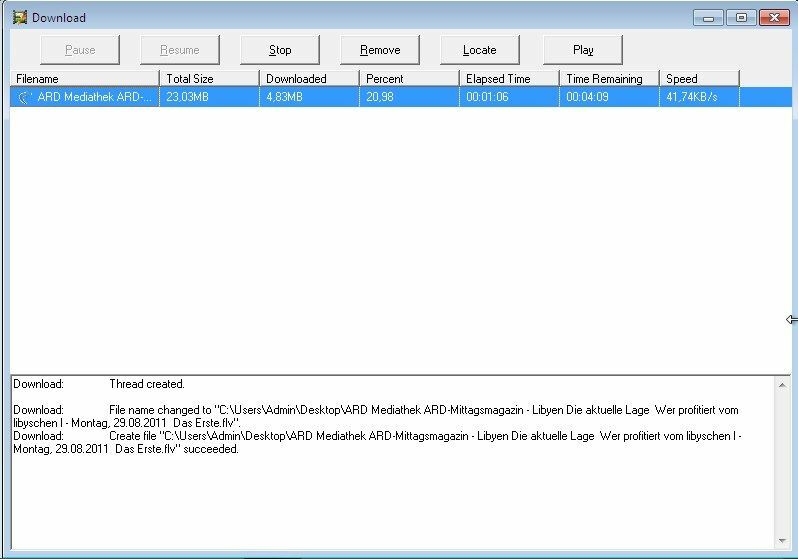 Download orbit Downloader and install it including the extension grave ++. Call the library to 3sat, click on the desired video and move the pointer in the video. It appears the menu "GetIt", Click the arrow to the right and then With grave ++ at. A possible IE security query to confirm. Refresh the browser window with the video (F5) and starts the video. Switch to grave ++, a check mark in front of the video and press download. Select now the location. After clicking OK, the download starts. 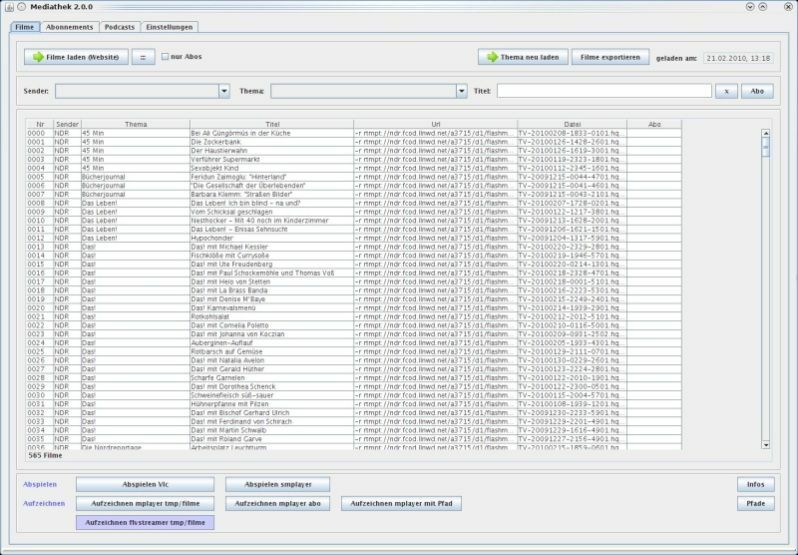 Browse primarily in the media libraries of public broadcasters, then take a look at these freeware: View library lists clearly on all reports and documentaries, the ARD, ZDF & Co. have been published. In addition to subscribe to podcasts comfortable with the program. Now that we have you with video suckers for major German TV channel, another little tip for all music lovers: The eMpTy-V-loader draws music clips from MTV and VIVA down to the hard drive. This is easily extended his personal song collection to find suitable clips. are their profession more YouTube clips instead of TV channels? No problem! In a separate paper, we explain the YouTube Video Download. Also, the HD video download we bring you closer. found anything suitable? You can find more reports on free films.